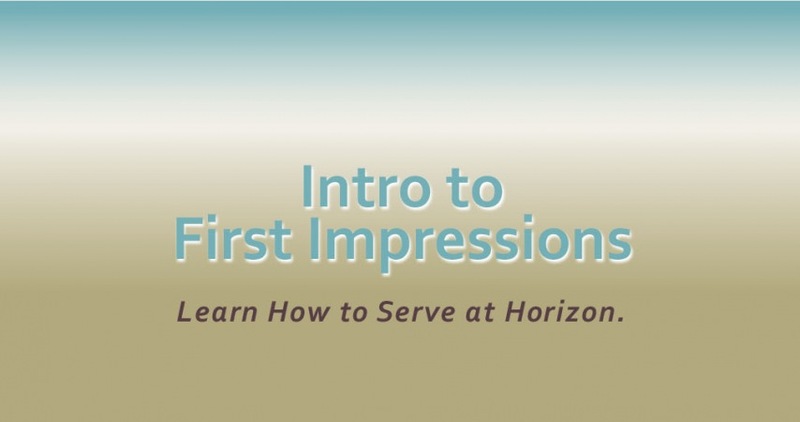 For details about serving on Horizon's First Impressions Team, plan to attend this training on Sunday, Oct. 29th at 11:15 a.m. The training will take place on the 2nd floor in Skybox B. Learn how to welcome visitors, serve in the cafe or help with parking.